Last night I saw Fake again. 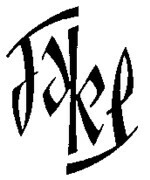 “Fake” is an old Dutch name, pronounced in very different way than most people will read it. I met Fake long time ago, but a few years ago our contact became rather minimal, mainly because my life provided me new things to do and left me with little time for the things I used to do. I had not even met Marijn, who lives with Fake for quite a few years now. I had a wonderful evening. The best test for finding out if I really had a good evening with friends, is how I feel the morning after. Sometimes I feel drained and want to stay in bed, sometimes I wake up early, full of energy. Well, it is very early now and I couldn’t feel better. Fake and I exchange compilations. Once on cassette, now on CD. I love his taste! And because he is a graphic designer, everything that comes from him looks beatiful. One of the series he does is called Murder : a collection of songs from all corners of the music industry, but mainly 45’s from country and blues singers that I had never heard of. I will write about this when I re-discover volume 1. I just spend half an hour searching for it, but I have no idea where it is. 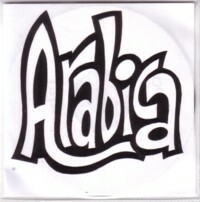 Long time ago I made a CD-compilation named Arabica ,western pop songs that echo Middle Eastern influences. I really love this sub-genre, especially when it is mix of rock’n’roll and Arabic melodies. Well, I call it Arabic, but you know my talents for geography. It took me quite a while to find enough good songs to fill a 80 minutes CD, but I remember that I have been playing it for weeks after i finally finished it. Apart from the well known gems in this genre, like Ganimian & His Orientals with Come with me to the casbah , Laguestra with Flying carpet , and Kaleidoscope with Egyptian garden , I found many surprises. David & The Red Sea Singers with The oriental beat goes on , Chubby Checker with Miserlou , and much more. I gave a copy of this CD to Fake and forgot all about it. Last evening Fake handed me a part two of Arabica. I had been thinking about making a part two myself, but I couldn’t find enough interesting material. But Fake did, and I am listening to the CD on repeat. Man! Fake dug up some true treasures, most of them totally unknown to me. Ali Baba & Ses 4 Voleurs with Shish kebab Yeye , Rene Hall with an exciting version of Cleo , Alan Barnicoat with Trip to the orient , The Falcons with El camel , etcecetra, etcetera. This CD makes me happy. Not only because the music on it is so great, but also because of the fact that somebody answered my first CD. This is what I like about collecting records. Here is a song that is not an any of the (first?!) 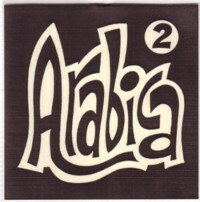 two Arabica compilations, Crazy one by Ramases & Selket.